Explore hidden gems such as Lake Wendouree and Bells Beach. 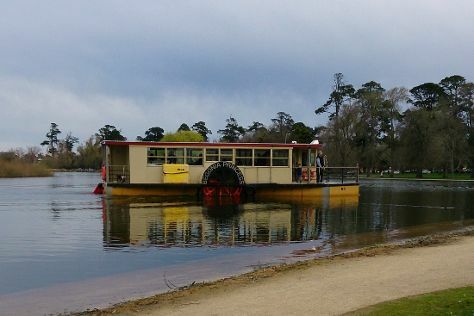 Explore the numerous day-trip ideas around Melbourne: Eastern Beach Reserve (in Geelong), The Enchanted Adventure Garden (in Arthurs Seat) and Ballarat (Art Gallery of Ballarat & Ballarat Wildlife Park). The adventure continues: take in nature's colorful creations at Royal Botanic Gardens, steep yourself in history at Shrine of Remembrance, examine the collection at Melbourne Museum, and pause for some serene contemplation at St Paul's Cathedral. To see reviews, where to stay, and more tourist information, read our Melbourne trip planner. In March in Melbourne, expect temperatures between 30°C during the day and 15°C at night. Wrap up your sightseeing on the 23rd (Sat) early enough to travel back home.